STHLM Wallet was created with the beautiful and trendy Swedish capital in mind, and iDeal wanted to capture the essence of this fast growing and creative city. With pure lines and minimalistic design that is both timeless and contemporary STHLM Wallet truly lives up to its Scandinavian heritage, that is celebrated for its simple esthetics. This makes the wallet case feel so right now and still last for a long time, which reflects the city itself who is so trendy both in culture and tech industry, while it looks back on a rich history. The two beautifully cut credit card slots on the back are perfect for the cards you use the most, like commuter cards, VISA cards that you need quick access to. The wallet also has three discrete cut credit card slots in the inside that fits up to six cards. The wallet is hand made in materials that is carefully chosen both for its quality and eco friendliness. 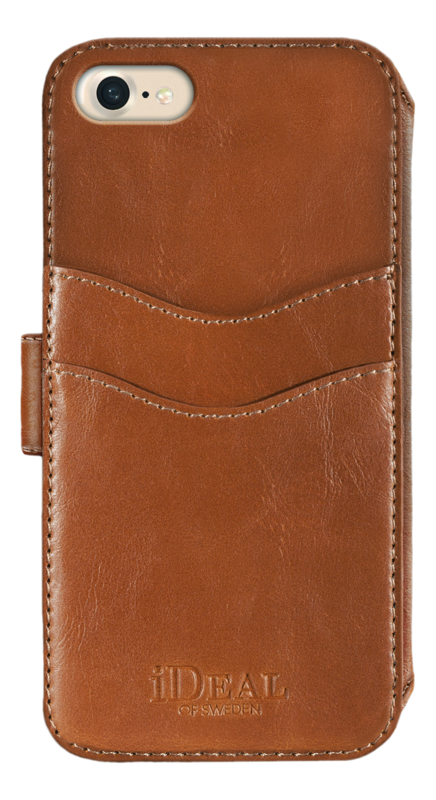 Luxurious soft microfiber on the inside prevents scratches on your phone, and the magnetic closure is both convenient and secure. A high quality magnetic black case is also included, which makes it easy for you to detach your phone when you don't need the entire wallet. The case can also be replaced for one of iDeals Fashion Cases that are all magnetically compatible with iDeal's Wallet-cases and other magnetic cases as a part of the iDeal Concept. 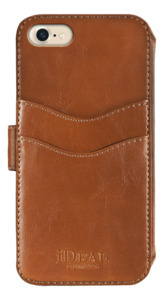 This concept allows you to mix and match cases and covers depending on situation, style or need.